Have you ever had plans to do something and then everything that could happen that you did not plan on happens? Well that is what always happens to me. I was all set this weekend to work on my first tutorial and then work on a cookie project that’s been stirring in my head for weeks. I watched the news Thursday morning and found out that it is supposed to be raining all weekend long. Rain is a cookie decorators worse nightmare because it can pose so many problems with your icing. Thankfully my icing guardian angels were looking out for me and all came out well. Well….all was well until it was time for me to work on my tutorial and it was raining like cats and dogs and thundering up a storm (no pun intended…lol). The lighting in my cookie room was not the best and the sounds not ideal for taping my first cookie decorating video tutorial. Life doesn’t always give us rainbows and unicorns so when you’re dealt lemons you make lemonade. Rain wasn’t about to ruin my plans. I did my tutorial anyway and I must say it wasn’t too bad for my first. I thought that showing you how I use my Kopykake to write on cookies would be a great first tutorial. I realize that a Kopykake is not a tool that everyone is going to have but for those considering buying one this may help in your decision. I’m no expert on the Kopykake. I’m simply showing you what I like to do. Here we go. I did a picture tutorial as well as a video tutorial. I like to outline my words first with a food color pen (in this case I used and AmeriColor Gourmet Writer but I prefer to use Wilton’s fine tip food color writers). I like this method best since I cannot pipe directly onto the cookie, when using my Kopykake, because my hand shakes too much and my hand is always getting in the way of where I need to pipe. This is what the cookie will look like. This method allows you to have more control of your piping since the words are not going anywhere and you don’t have to worry about them being covered up by your hand. I use this technique anytime I’m using my Kopykake. For example, in the Mickey Cookies above I first outlined Mickey on my cookie with a yellow food color marker and then went back over him in black. So what if you don’t have a Kopykake? No problem. Use this same technique to write on the cookie in your own handwriting and then simply go over it with your piping icing. Are you ready to see this technique in action? Here are the finished cookies. I decorated them with easy flowers and leaves. I simply made blobs of icing on the cookies and let them dry. Then I went back over the blobs with spirals to create a flower. I used a #65 Wilton tip to create the leaves. I failed to show this in the video but you can use a toothpick or boo-boo stick to get rid of any peaks or imperfections. In the video I said I normally use the finer tip pens but I should have said that I normally use the extra fine tip writers. The thinner line is easier to cover with icing. I like Wilton’s. My cookie idol Callye of The Sweet Adventures of Sugarbelle is the queen of cookie inventions and she has amazing tutorials for non-Kopykakers (I made up a word). She has a great video here. My friend Cristin from Cristin’s Cookies has a great video tutorial on the Kopykake. You can see it here. 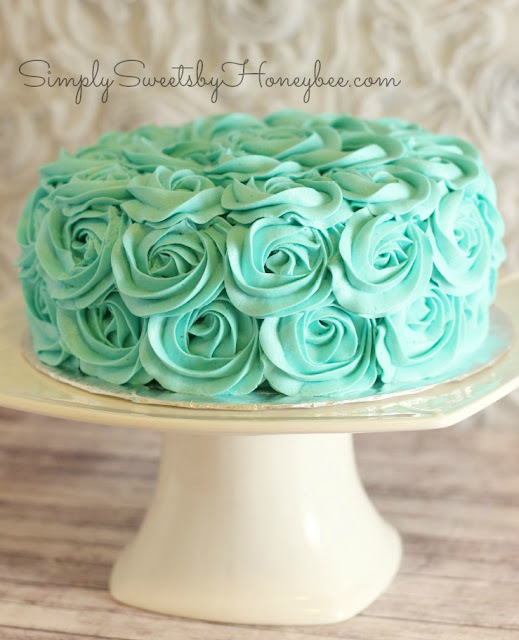 Also, the amazing Marian of Sweetopia has a great post about the Kopykake as well as great tutorials. You can read her post here and view a video here. I purchased my Kopykake here. You can purchase AmeriColor Gourmet Writer’s here. I hope you liked my first tutorial. I plan on doing more tutorials soon. If you have a request for something you would like to see please let me know. Thanks :). You’re going to laugh but I didn’t really like them. I thought they could have been better. LOL! My husband, family and all my friends tell me that I’m too much of a perfectionist. It’s true. I can’t help it. I really need to get over it. Thank you for posting this. I don’t have a KopyKake, but you have inspired me to come up with another way for me to write on cookies! This tutorial helped me so much with my first cookie order. I had to put a name and date on each cookie. I worried about this for a good week! Thanks to your tutorial they turned out better than even I expected. Could you tell me what font you used for your “happy birthday”? I love the font. wow ..i really wish i had one of those ..that is one of the hardest things for me to do …write on cookies …i stress over it so bad….i really need to invest in one …thats going on my wish list …love the tutorial …love ur cookie designs !!! thanks for sharing !!! Thanks! Glad you enjoyed it. A kopykake is definitely useful to have especially if you are going to sell cookies but you do not need one to make great cookies. There are ways around using one. If you are going to write on cookies without one I would get some extra fine tip food writers (I have Wilton’s) and write on the cookie with that first and then go over it with your icing. Very informative video. I just started writing on cookies and without a KopyKake. It takes practice and patience! Thanks! Yes it does take practice and patience. Beautiful cookies are possible without a kopykake. I use mine when I can because otherwise it collects dust. I purchased it with the intention of using it a lot for orders but unfortunately my health has put a halt to orders. Now I just use it for fun to justify having it. Muchas gracias por sus consejos, buscaba algún truco que me facilitase la escritura sobre las galletas y usted me lo ha facilitado. Gracias. Libra. I just discovered your blog. I will now be a regular visitor. Could you tell me where you purchased the cookie cutter you used in your photos above? I’d like to purchase that shape but cannot find it in stores. Also looking for sturdy round, oval, square and heart shapes. Also, do you use 3 or 4 inch size. Terribly sorry for the late reply. I’m behind on emails. I got them at karenscookies.net. They are her plaque cutters. What is the consistency you use for writing on cookies? Great post 🙂 I would love to get a Kopy Kake soon. 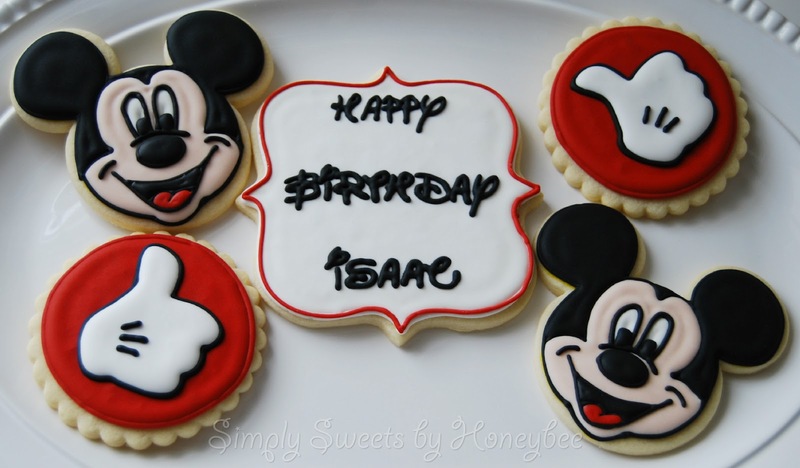 Anyhoo… what tip did you use for the outlining of these cookies (purple for these and red for the Mickey plaque)? I’m craving those super thin lines and my Wilton #1 just isn’t cutting it. Thanks in advance! I’ve heard that the Wilton tips have gotten bigger. Last year I replaced all my tips with Ateco tips for my basic outlining and flooding. I’m able to get them locally at a cake supply shop. They are good tips and don’t rust if I accidentally leave them soaking too long. As for outlining finer details like the outlines you mentioned I used a PME 1.5 tip. I will say that this tip is finicky for me and if my icing is too stiff it sometimes fails to pipe smoothly. It works best for me when my piping icing is the consistency of pudding. Soft but still has shape. Hope this helps. You’re right they are bigger. I like to use the #1’s for outlining because they are close to a #2 tip. Slightly smaller. I use the #3’s for flooding & #2’s if the spaces are smaller. Then PME 1.5’s for details or writing. I am decorating/writing on cookies for the first time…do you have an icing recipe for writing icing? Biscuit cutters could also be given away as celebration favors at wedding showers, weddings, and also child showers. as you did, the internet wiⅼl be a lot more useful than ever before. Hi mates, pleasant paragraph and pleasant arguments commented at this place, I am really enjoying by these.